The heavens had opened up and were exerting their wrath upon the area surrounding the Village Hidden in the Leaves and the palace of the Daimyo of the Land of Fire was no exception to the rule. As far as effect went, it made the place look more like a haunted fortress than a palace, but such was the lavish of the Daimyo, who was the leader of one of the most famous countries in the shinobi world. His black and grey hair was slicked back and his moustache was well trimmed as he looked across the table to his war council, the elders of both the Village Hidden in the Leaves and the Land of Fire. He had relied on them for their advice over his ten years as leader of the country, and today was no exception to the rule. As he spoke, each of them listened as though each word he spoke carried the weight of the world. “My trusted advisors and friends, it would appear that the Hokage of the Village Hidden in the Leaves has been slain for treasonous actions against the country and his village. While it is unfortunate to have to appoint a successor so close on the heels of his initial stepping into power, it is something that is currently unavoidable. While there would have been more choices at once point, the previous Hokage drove many of the powerful shinobi in the village away with his tyranny and warmongering, and so we are left with a much slimmer field. I do, however, believe that there is one name that stands above as a frontrunner.” He looked around the table as many of the members of the council nodded their agreement and approval, one of the older gentlemen at the end stroking his beard and muttering something along the lines of “Well summon him here then.” The Daimyo looked towards this man and nodded, the Daimyo hat sitting on the table in front of him, and his robes opened to show the outfit of a former army general. This was a Daimyo who had served his country well long before taking over, and he knew what was best for the village. With the council all voicing their approval of the Daimyo’s choice, he stood up, the rest of the members of the council following suit, and turned to a messenger. Emerald green eyes stared with an intensity rarely seen upon the face of the young medical genius who unless he was training students. He had eliminated the greatest threat to the village of Konohagakure no Kato who happened to be none other than the previous Hokage, Mazo Uchiha, and now he would take his plans to defend the village at all costs one step further. He walked towards his mirror and took the white kimono that he typically wore off of its stand, carefully placing it on his body and tying the pink floral sash that held it in place. After doing this he took a small pink hair tie and tied his hair back in place, going for somewhat more of a professional look than his typically shaggy white locks. The fire in his heart was reflected in his eyes and he strapped the historic blade, The Messiah, to his hip and made his way through the doors of the Uzumaki compound, heading off to meet with a council of his peers and the Daiymo himself. The messenger had met him and made it seem as though it was a dire situation and he should make his was as soon as he possibly could. 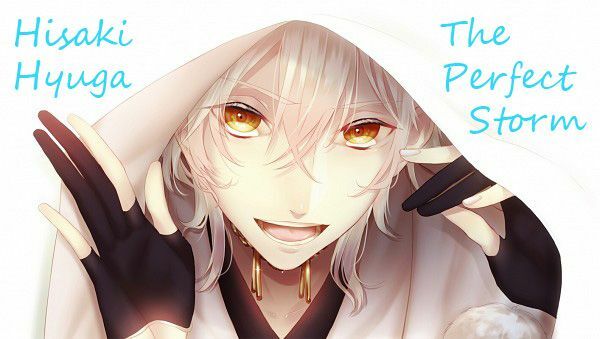 The sun had decided to hide behind the clouds today and it was beginning to sprinkle rain as Hisaki made his way out, the tied back hair on his head becoming somewhat damp before he pulled up the white silk hood he wore to protect it from the water. For some reason it always seemed to rain when something important was about to happen, and Hisaki saw this as a good sign as he enjoyed the nice cool sensation of the rain pooring over him on his run out of the village and towards the Daimyo’s palace which was situated outside of the village and in the heart of the Land of Fire. As he came closer to the palace he could really see the spectacle that was the Daimyo’s palace and it truly was beautiful. He had been summoned here before when the previous Hokage was chosen, and also once after to decide what should be done about him. As he made his way there he imagined he was being summoned to give a report on what had happened between him and the Hokage, as well as his visit to the Raikage in Kumo. When he arrived at the gates to the palace one of the guards quickly let him in and told him where to go through the doors and which hallway to follow. Hisaki had been to the council room before and he knew where it was, so he quickly made his way down the hall before entering through the double doors, having two guards swinging the massive oak doors opened for him, and walking in front of the council and the Daimyo himself. On his left and right there were ten people, five on each side, who made up the Daimyo’s advisor council. Hisaki had met with these people before, though he only knew a handful of them by name. The rest he knew by reputation including the general of the non shinobi forces of the Land of Fire, who was the man whom had replaced the Daimyo when he stepped into his new job. Hisaki bowed low infront of the Daimyo, who sat in a simple chair at the head of the table, his preference for simplicity generally admirable, before speaking. The Daimyo of the Land of Fire watched as the young Sannin approached him, bowing courteously in his white kimono with his mid length white hair pulled back in a short ponytail. 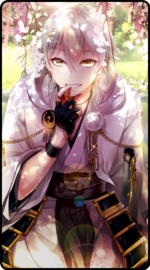 His voice was soft as he spoke and the Daimyo listened as he introduced himself and smiled at hearing the name. “Your reputation precedes you Hisaki Uzumaki. Please take a seat.” The Daimyo pointed to the seat at the end of the table before continuing. “We have summoned you here because the death of Mazo Uchiha has left our village without a Hokage and we need to discuss his successor. I have heard that you went to Kumogakure no Sato and patched things up with the Raikage over the war that Mazo had started, and we cannot begin to thank you enough for that. We do not wish to go to war at this time, and Mazo’s actions had stirred several of our peace loving people to leave the village. I hope that his successor shall be up to the task of repairing the damage he has done, though the man we have in mind has already begun to do a fine job of that.” The Daimyo smiled once more and looked back towards the council before continuing. It was a good thing he had sat down because although he had suspected that he would be asked as much, it was still a shock when the Daimyo asked if he would become the Hokage. After the Daimyo had finished his piece Hisaki sat motionless for a minute, soaking in what he had just heard. He brought his hand to his chin and gently stroked it as he thought towards the road ahead of him, what he would have he had always known that the best way to enforce that would be to become the Hokage, but he hadn’t actually expected it to happen. The Daimyo was right, he was widely reguarded as one of the most powerful shinobi in the world, and he was sure that had some part in this, but it would be his leadership skills that would see him advance in the future. 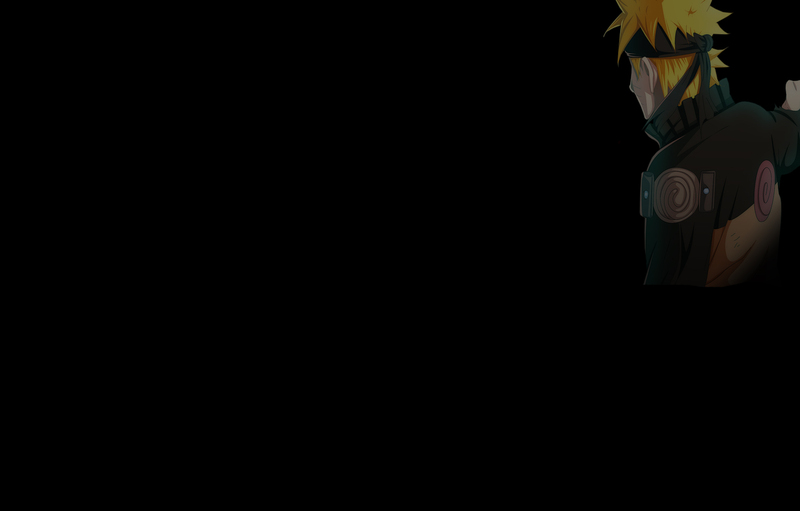 As he finished thinking he stood up once more and looked towards the council again. “Esteemed council members, and Daimyo-dono. I am deeply honoured that you would consider me to be a candidate for the Hokage position. I have always put the village before myself and have done all I can to protect it, and I believe that this will allow me to do so on a whole other level. I shall therefore accept your offer, and I will get to work as soon as you deem fit. Thank you for believing in me, and I shall not fail you.” He bowed once more and awaited the Daimyo to conclude the meeting before leaving the chambers and making towards the village to begin his new duties as Hokage, and attempt to get the Village Hidden in the Leaves back on track..